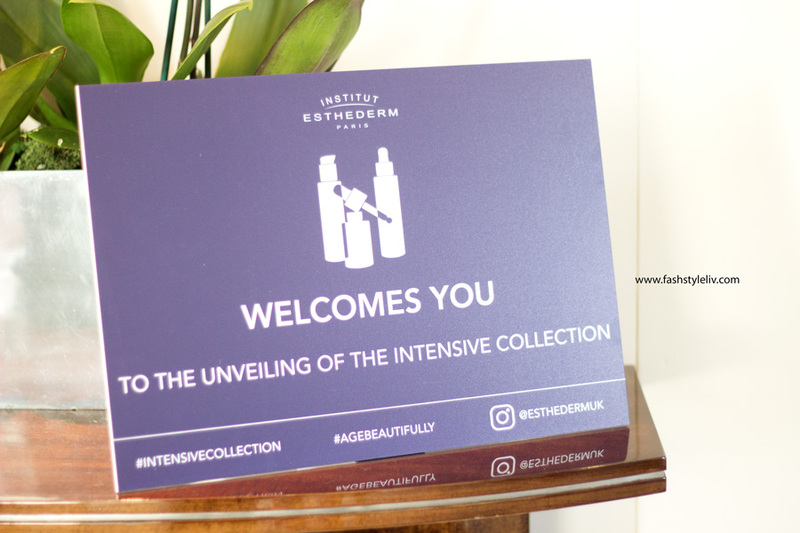 I can't remember when I first heard about Institut Esthederm but I believe it must have been from a fellow blogger. I have so much love for French skincare products because I have never been let down by them and they work so well for my skin type. I definitely think they make the best skincare products out there. 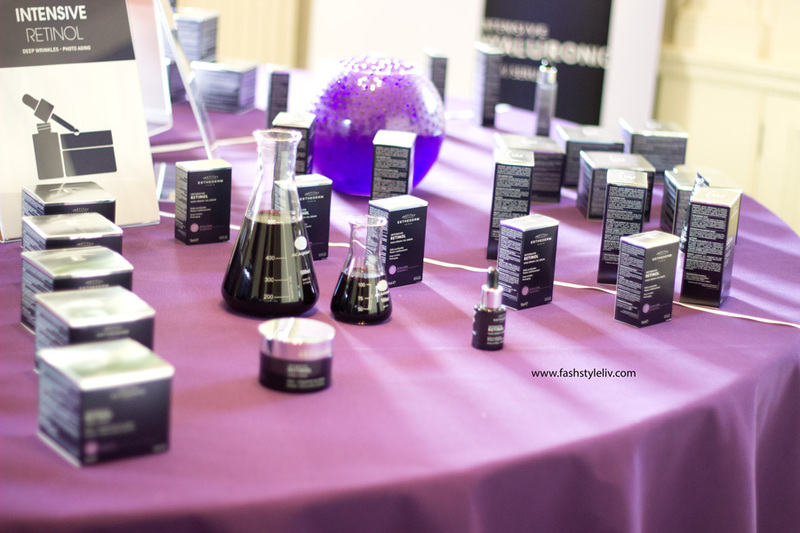 Institut Esthederm was founded by Jean-Noel Thorel in 1978 and he is a Chemist, Biologist and an expert in Cellular Biology. 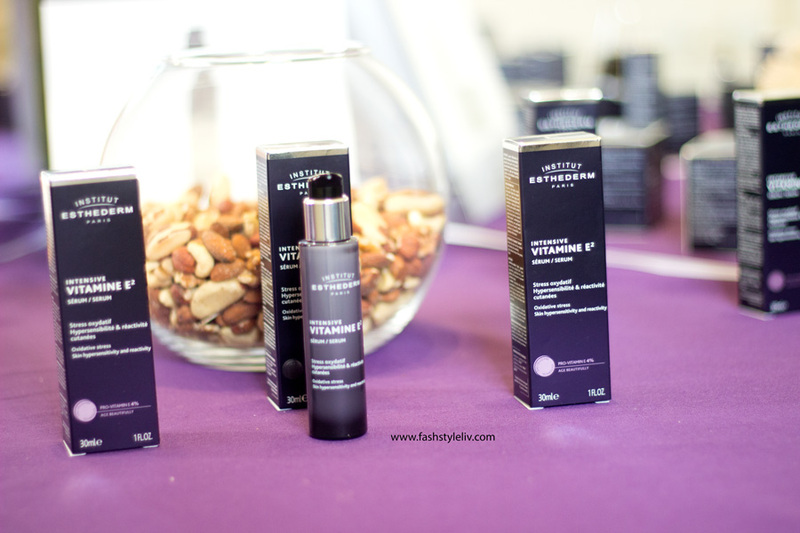 Institut Esthederm products are not designed to work against age but rather with age. I love reading about brand founders and his story is really inspiring (you can check it out here). 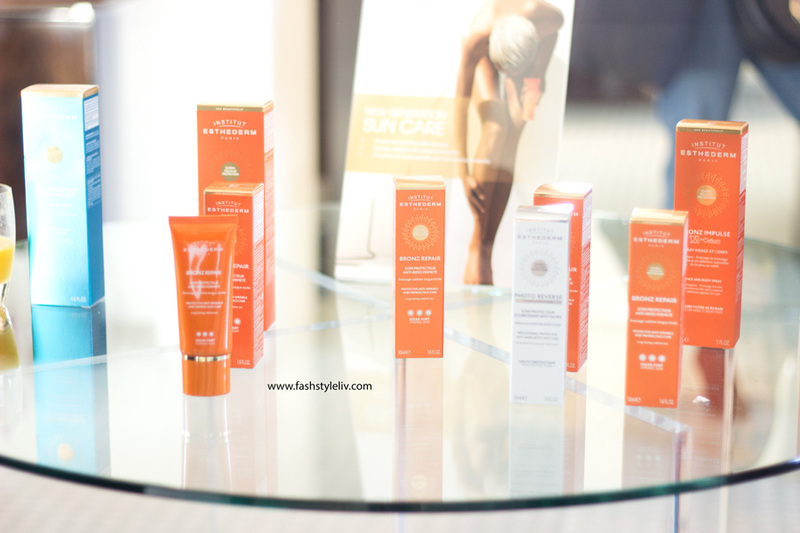 I love that their products are designed with a positive approach to aging. 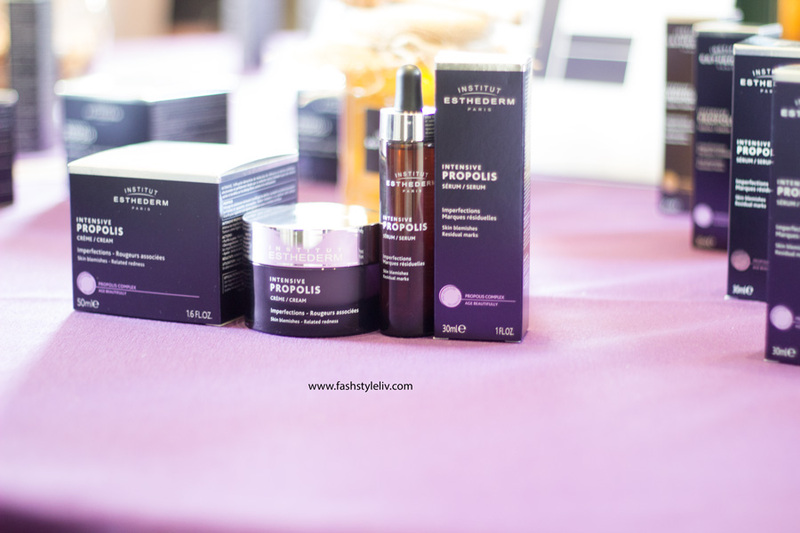 Their products are inspired by the skin's natural resources/processes with a focus on preserving the skin's balance while helping it adapt better to our ever changing environment. 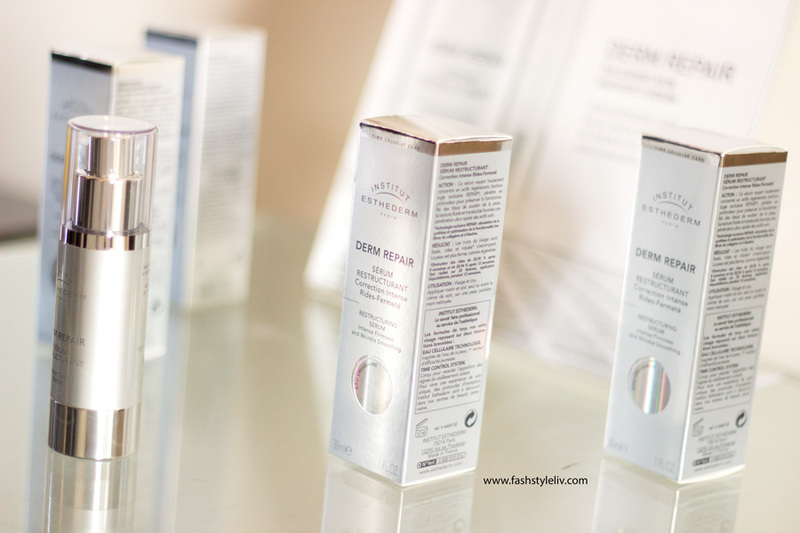 There is an extensive range of Institut Esthederm products to choose from and their categorised into Preparation, Deep Cleanse, Exfoliate and Energise/Protect. There are also specialised ranges which include Prevention, Correction and Intensive Treatments. 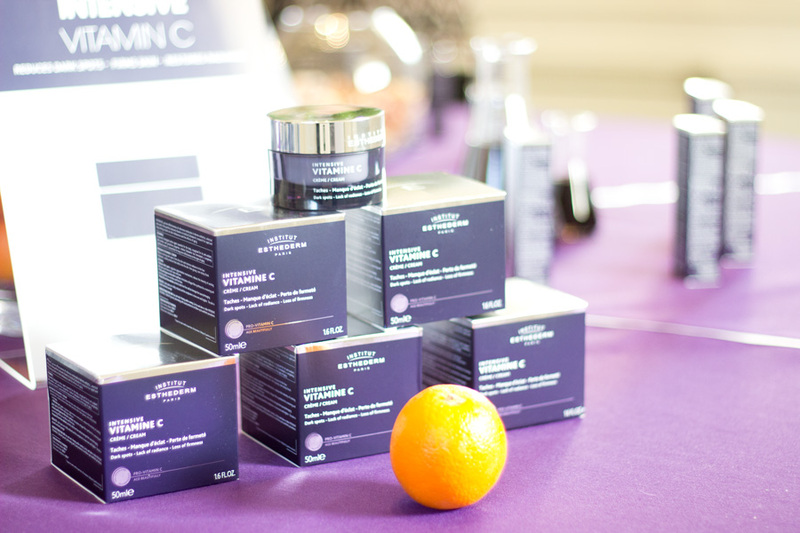 From the name alone, you can deduce that this range is designed to be intensive and deliver high concentrations of active ingredients to make a visible difference to the skin. The range is a comprehensive collection of customised beauty procedure molecules at the right dose. 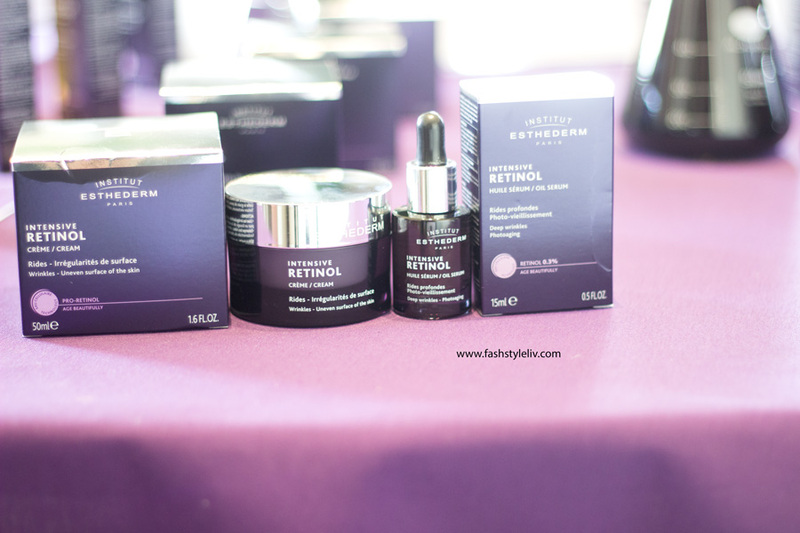 There are six lines within this range and they include: Hyaluronic (designed for wrinkles, fine lines and intense dehydration), Retinol (designed for deep wrinkles and photo-aging), AHA Peel (designed for uneven pores and dull complexion), Propolis (designed for blemish and acne prone skin), Vitamin E2 (designed for stressed skin, hypersensitivity and cutaneous reactivity) and Vitamin C (designed to tackle hyper pigmentation and deep wrinkles). 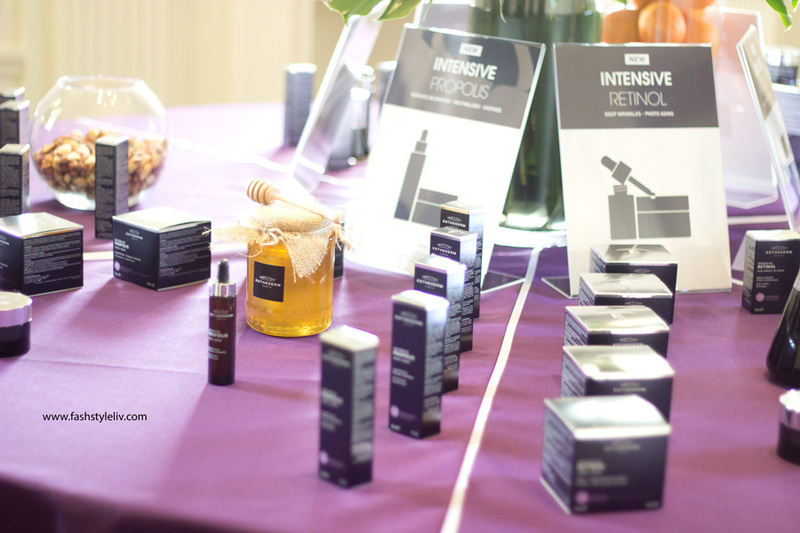 I love the packaging of the Intensive Range products as they look so elegant and luxurious. 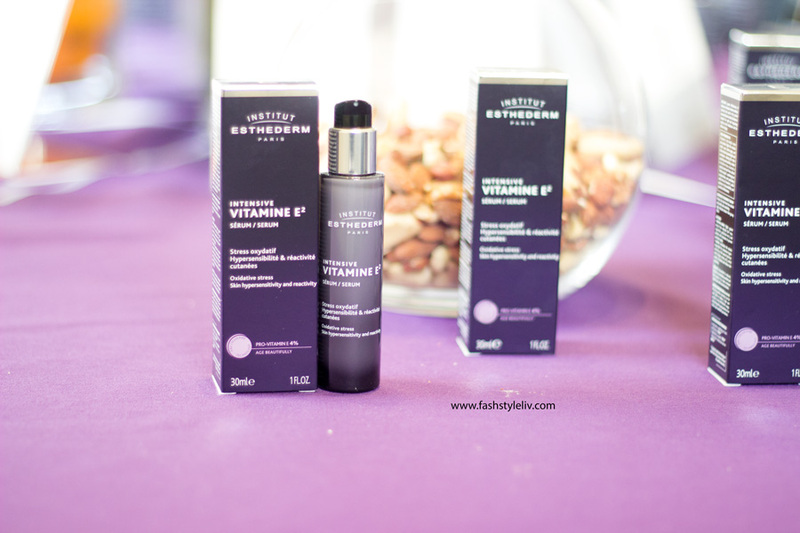 In the lovely goody bag from the event, I was kindly gifted some Insitut Esthederm products. 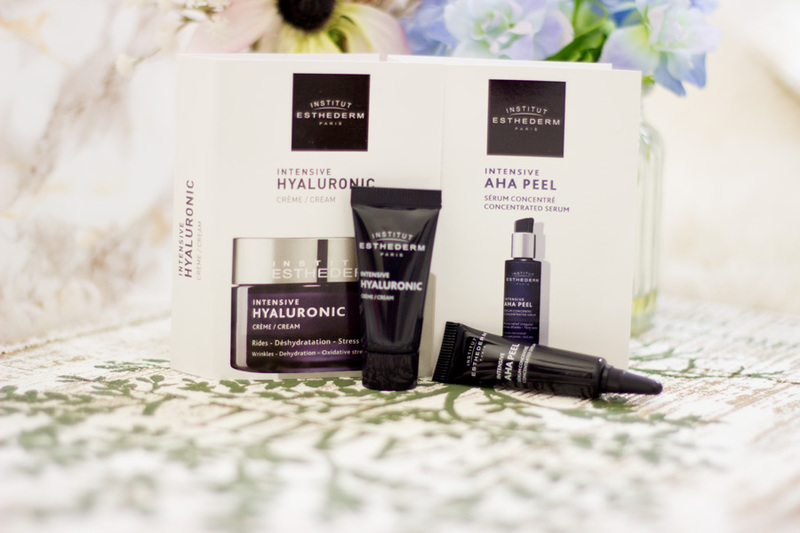 I got the Intensive Hyaluronic Serum* (full size) and samples of the Intensive Hyaluronic Cream* and the Intensive AHA Peel*. 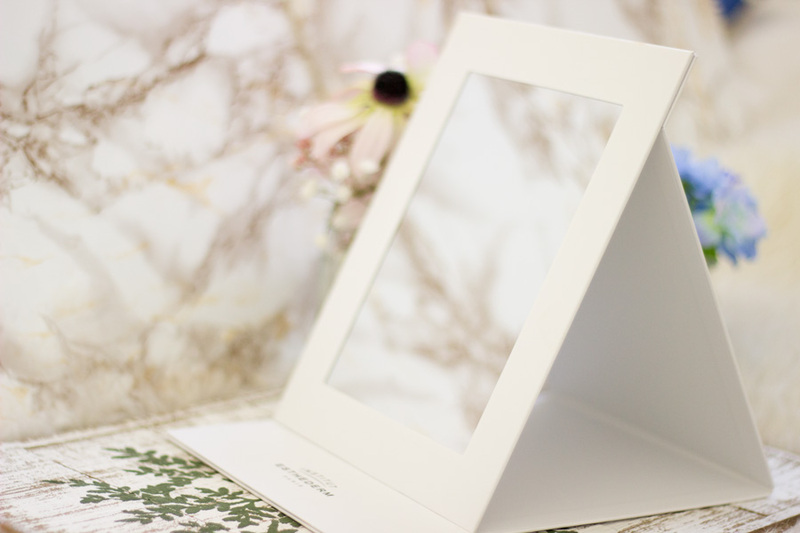 I also got the cutest fold-away mirror which is so thoughtful as it comes in really handy when I am travelling and there was also a USB stick with some information on the range. 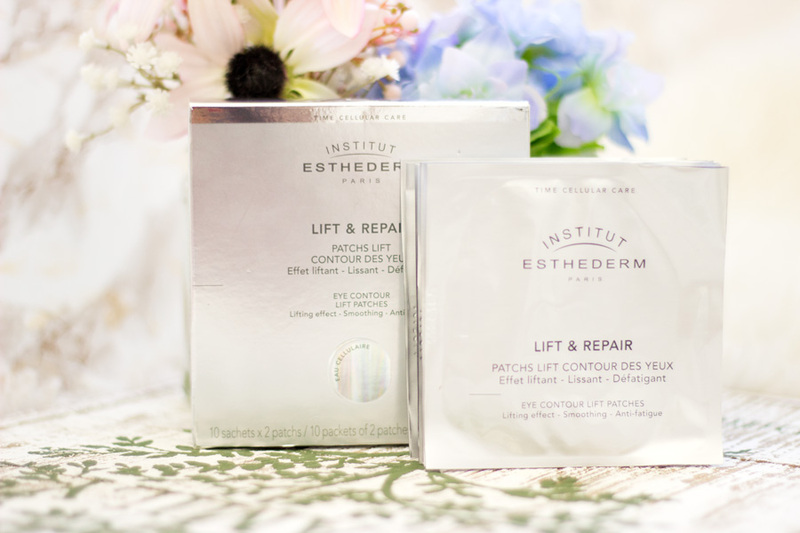 I was previously sent the Lift & Repar Eye Contour Patches* which I love. 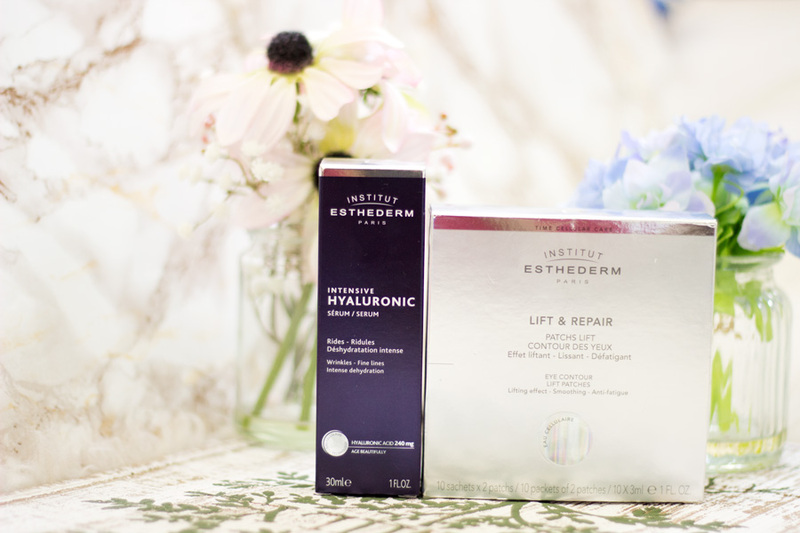 For this post, I will be reviewing the Intensive Hyaluronic Serum and the Lift & Repair Eye Contour Patch. 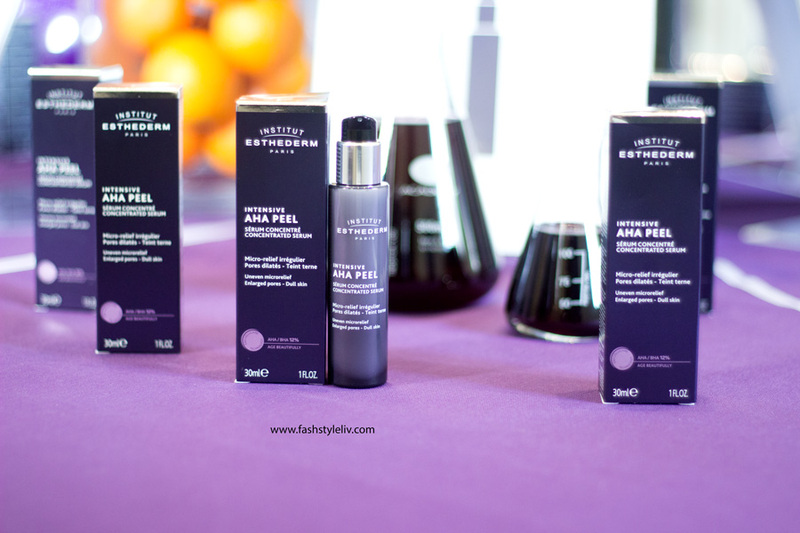 I do have to say I thoroughly enjoyed the Intensive AHA Peel and I used up the entire sample!! It gives a tingling feel on the skin but nothing unbearable and I could see some mild improvements in my hyper pigmentation. It is definitely one I'd be looking to try out at some point because I feel it has the potential at being effective if I use it for a longer time. 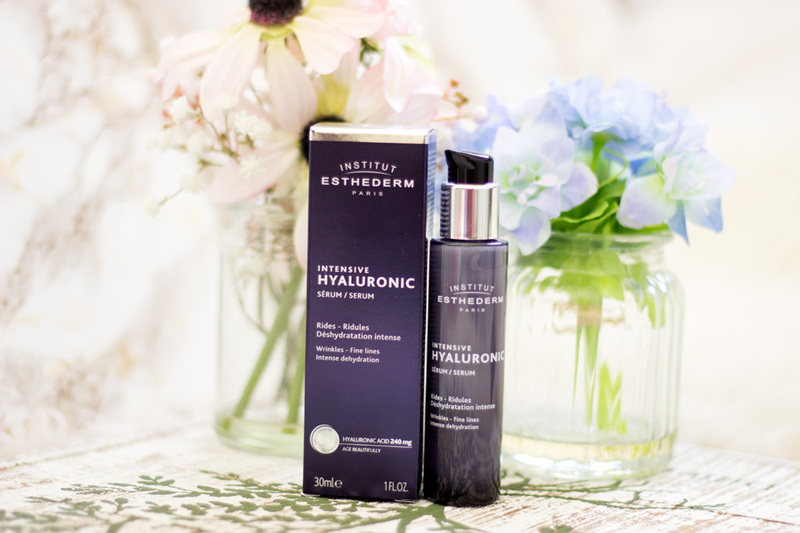 I also enjoyed the Intensive Hyaluronic Cream which I took with me on my weekend break and it works well combined with the Intensive Hyaluronic Serum. I don't usually have dehydrated skin but this changes over the year/season so I always make sure I am well hydrated. I drink loads of water (I love water so much and can't leave my house without a bottle) and I also incorporate hydrating skincare products into my routine. 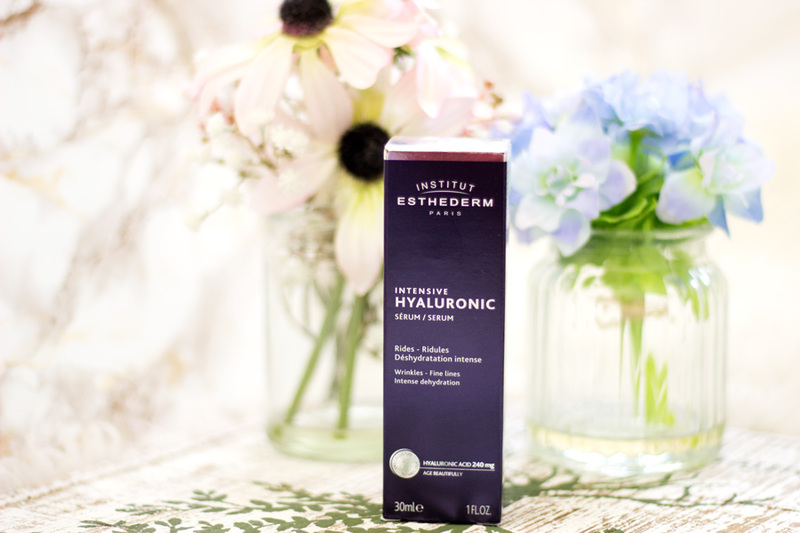 The Intensive Hyaluronic Serum was a welcome addition to my skincare stash and I have used it as my only serum since it arrived. 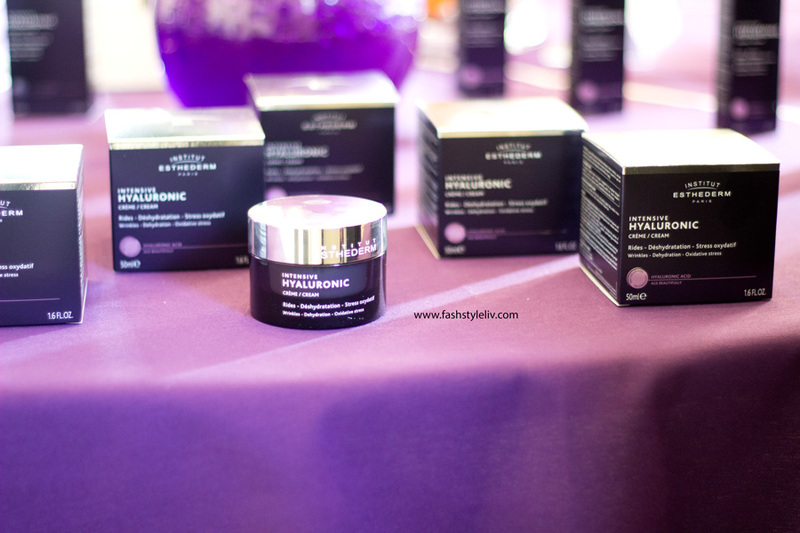 It is described as a moisturising mask with high levels of Hyaluronic acid to instantly target severe dehydration. 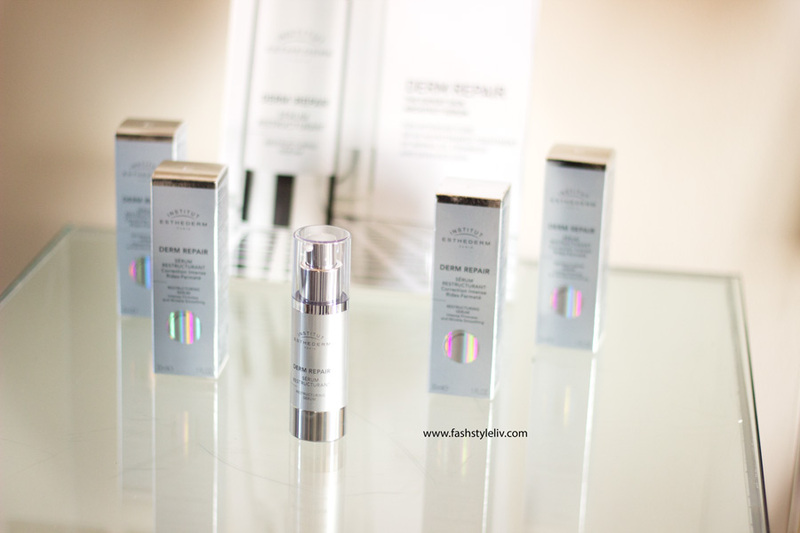 I am sure everyone who loves skincare must have heard about Hyaluronic acid and how it helps with hydration. It is naturally present in the skin and you can think of it as the skin's water reserve (so it's always good to up your water intake as well). 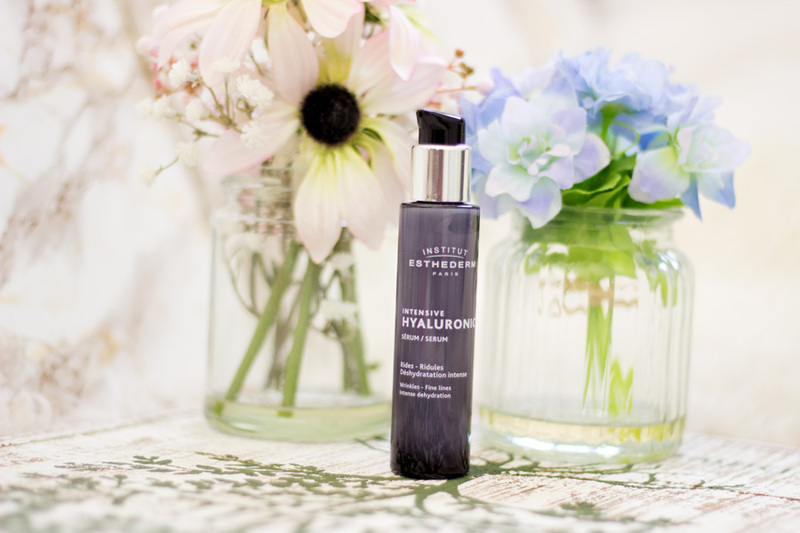 What makes the Intensive Hyaluronic Serum different from others? 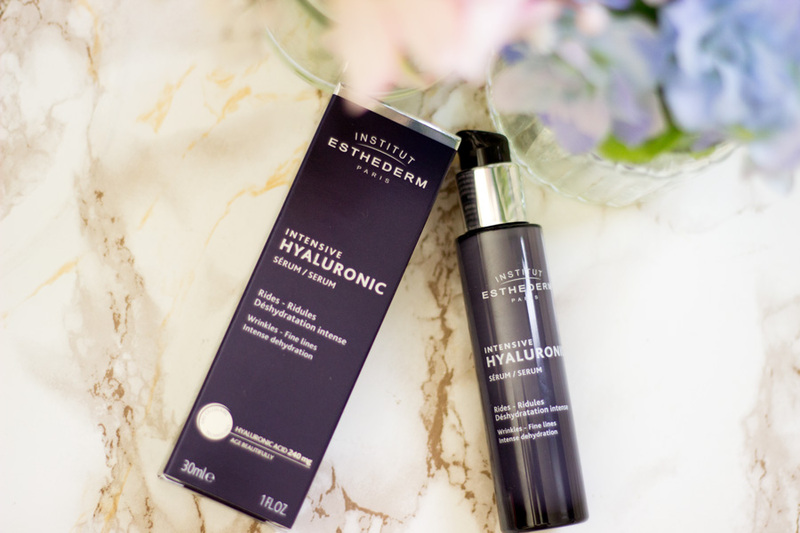 It is made from a patented complex of 3 forms of highly Hyaluronic Acid (in a complex)which penetrates the deep layers of the skin to plump it up from inside out (to put it simply). First off, isn't the package so elegant and luxurious looking? I don't know if it's just because I am so partial to anything purple but I just love it so much. 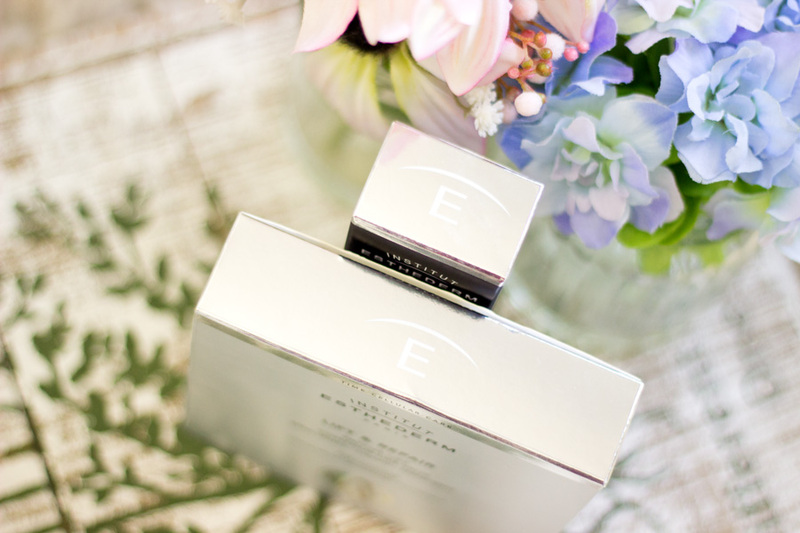 It is slim and light weight enough for me to throw in my skincare bag when I am travelling. It contains 30ml of product which is standard for many serums and I am already more than half way through the bottle. It does not have a lid which I was a little concerned about but I have travelled with it more than a few times and there were no accidents/spillage. It has a turn-lock which is pretty secure so that's a good thing. 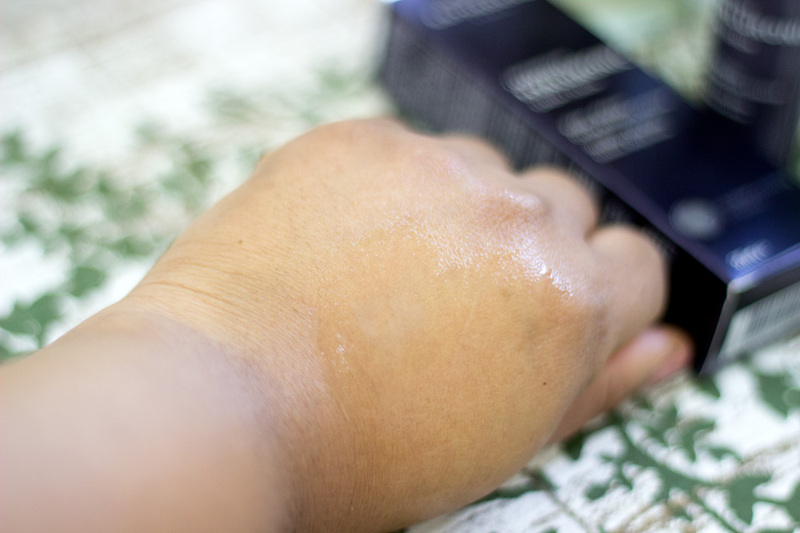 It has a true serum texture that feels instantly hydrating and there's no tackiness to be felt. It absorbs really beautifully with a slight radiant glow. I use it straight after using my exfoliating toner and I also use some of it as an eye serum. The first thing I definitely noticed is how hydrated my skin felt and how it helped prep my skin for the rest of my skincare routine. For the name intensive, I thought it would have more of a watery texture but it's just a balanced serum texture which I prefer for the most part. If you have very dehydrated skin, you may prefer a more watery texture however I don't think it affects effective it is at hydrating the skin. 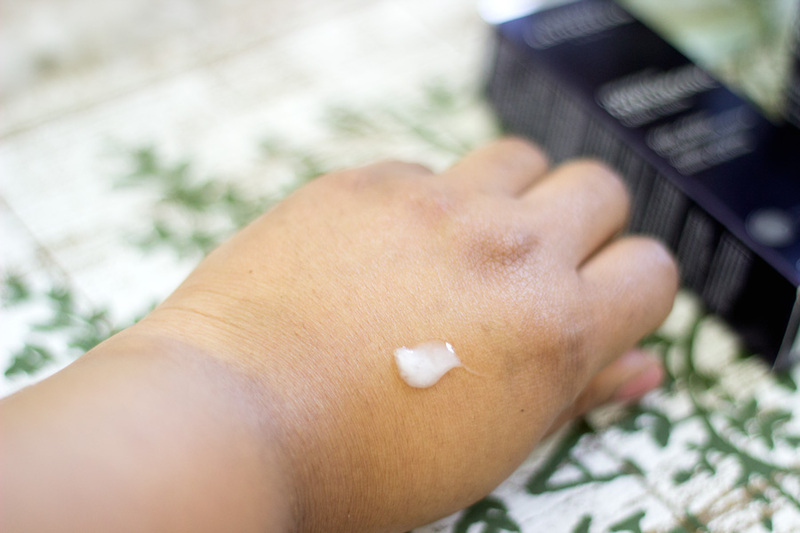 It definitely provides my skin with the right amount of hydration and I have enjoyed reaching for it every day- both in the morning and in the evening. I don't have wrinkles so I can't comment on its skin filling benefits but my skin feels really plump. I have some fine lines around my eyes and I have really enjoyed using this around these areas. The fine lines have not disappeared but they look less noticeable now and my concealer does not sink into these fine lines. I was not expecting any difference when I used it around my eyes as I just loved how refreshing it felt on my face and decided to let my under eyes enjoy it too. It makes me think that if you do have fine wrinkles around your face, it may work on them with consistent use based on how it has helped my under eye. 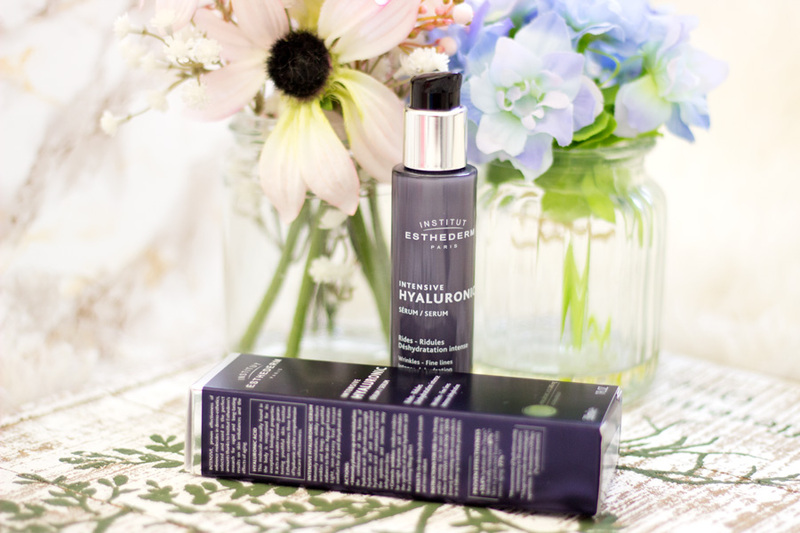 I have definitely enjoyed using this serum and I will be popping it onto my repurchase list when it eventually runs out. 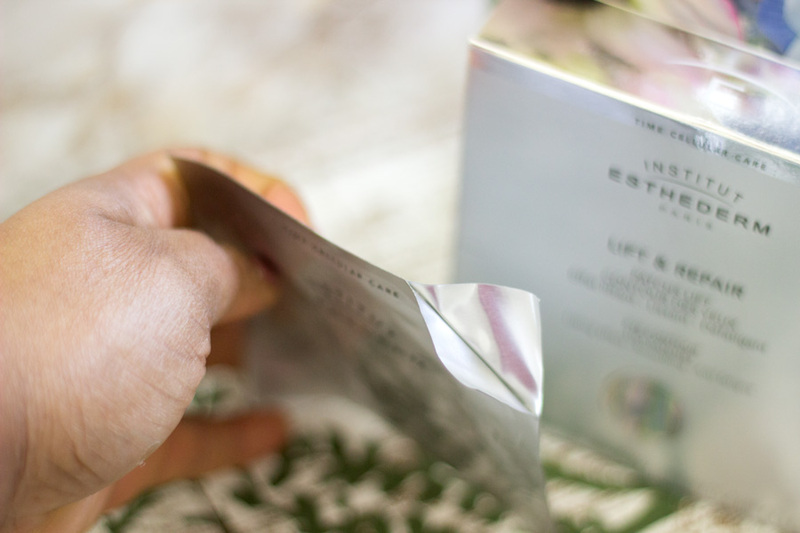 I already mentioned that I briefly spoke about these eye contour patches in my Mother's Gift Guide so I have ben using it for quite a while now. 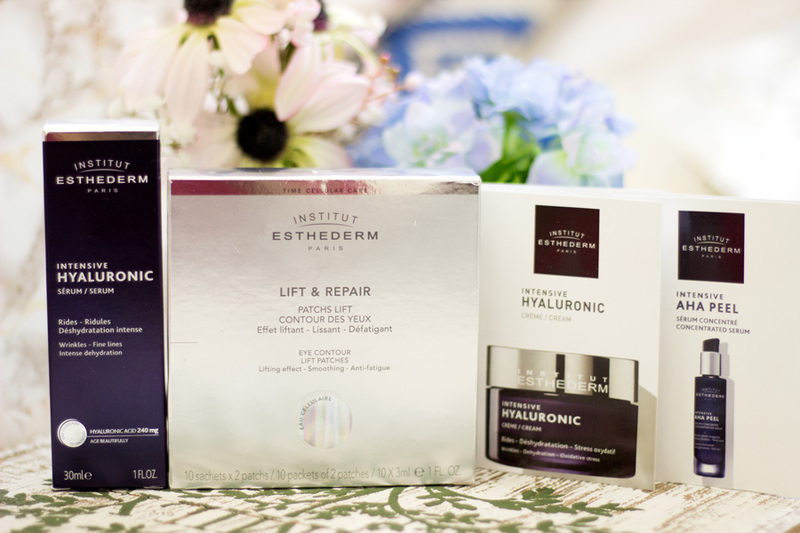 They are under the Institut Esthederm Correction Treatment range. 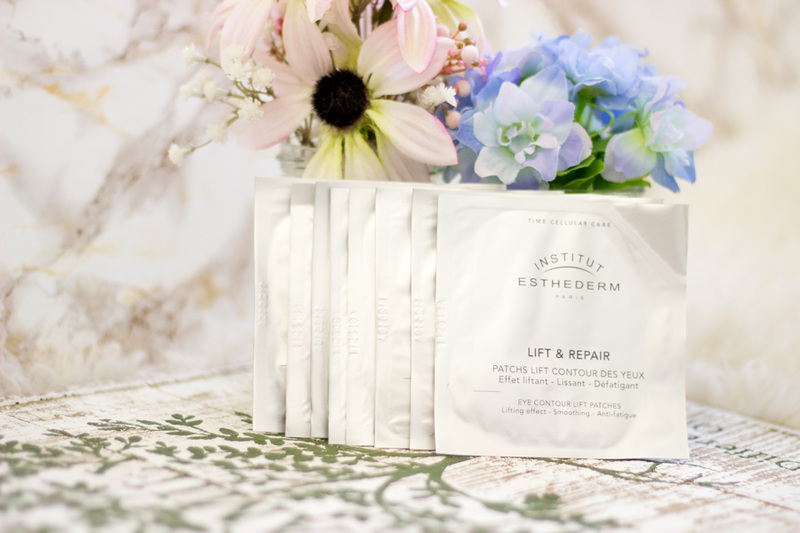 The Eye Contour Lift Patches are a complete multi-action care kit designed to tackle puffiness, dark circles, sagging and signs of fatigue. They are ophthalmologist tested which I always look out for because I have sensitive eyes and I wear glasses and contact lenses. I have always taken care of my eyes and under eyes as they are one of the first places where you can detect stress, fatigues and signs of premature ageing. 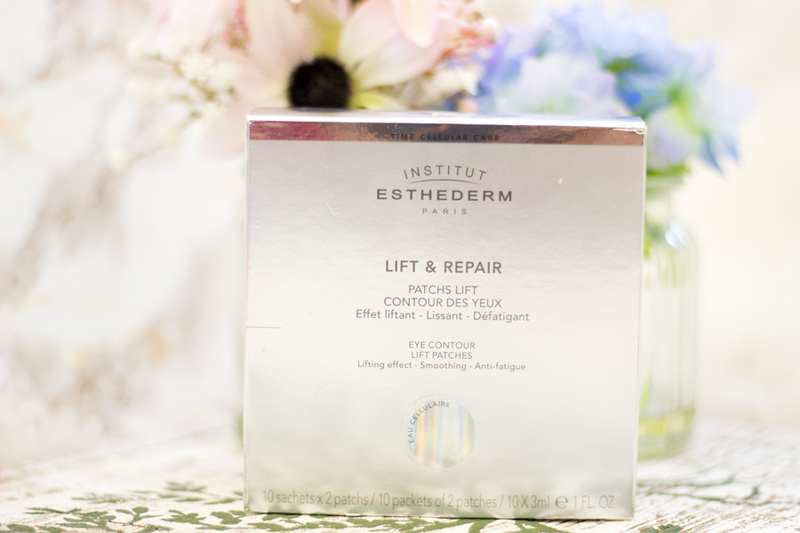 The Eye Contour Lift Patches come in a sleek silver box and contain 10 pairs of patches which is a decent amount. 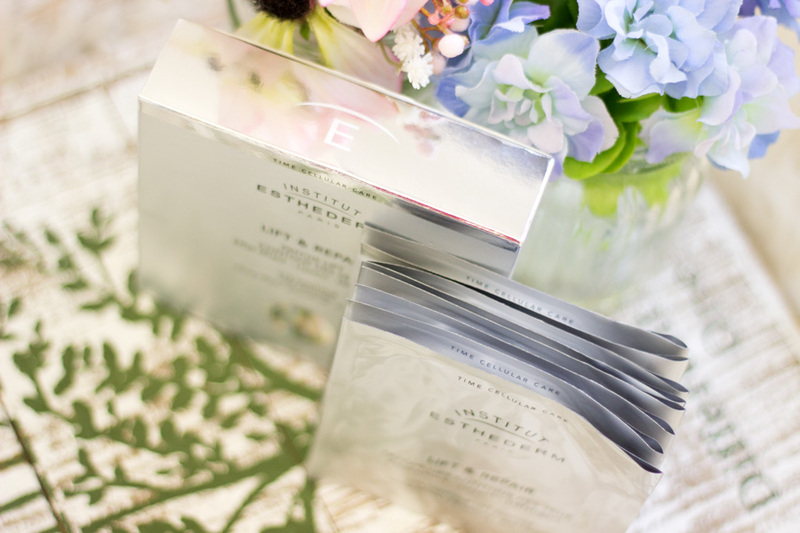 Each little sachet contains a patch for each eye area (2 in total). I love that they come in individual sachets as they are easy to travel with. They are also easy to open and applying them is really straightforward. They are slightly wet which is expected from an eye patch so I ensure I am quite careful when opening the sachet. I particularly love that each patch is quite long so they will fit any face size/structure. They are designed to fit under the eye area from one corner to the other so no area is left bare. 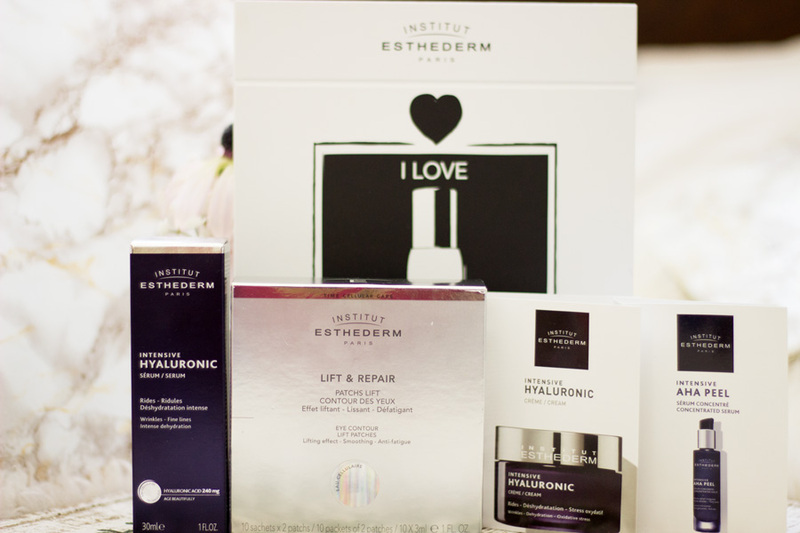 Institut Esthederm recommend leaving it on for 5 minutes which I have done and seen good results. However, I have enjoyed leaving it on for way longer (at least 30 minutes) and I absolutely loved the results I got. To apply them, I ensure my hands are washed and my skin is clean and dry. I carefully open each sachet and pick out the patch applying from one corner of my eye to the other. I already mentioned that it is quite long so it completely covers my under eye area and even extends to the corners. It feels immediately refreshing and cooling on application and I just lie down and close my eyes. I even fell asleep one time because I was very tired and it was just what needed at that time. I let it sink for a good while and then take it off while massaging any excess product left in. The first thing I noticed is how it rejuvenated my under eye area and this is even more evident usually the morning after. I have come to accept the fine lines under my eyes when I smile but I definitely think they are not very notcieable. I don't use these eye patches every night but I reserve them for pamper nights or when I am feeling very tired. I will definitely recommend trying these eye patches if you want to treat your under eye to something luxurious that also works really well. The good new is that many French skincare products can be purchased in the UK without having t go across the pong which is amazing. 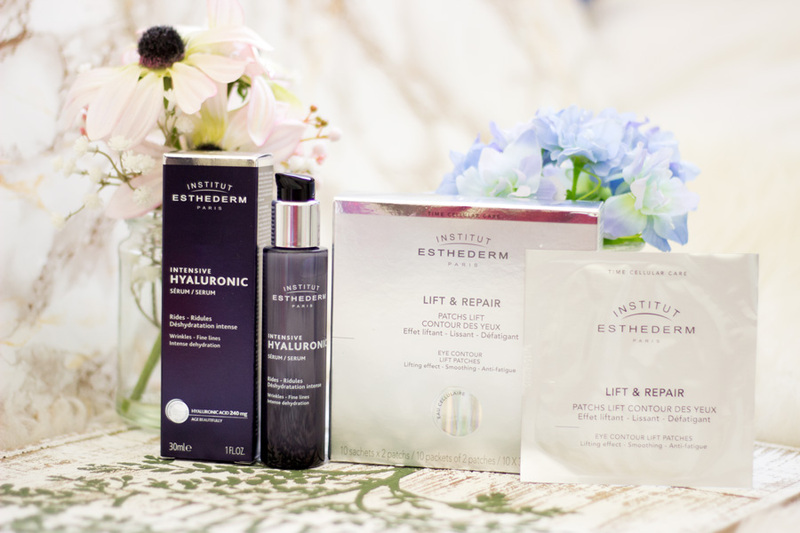 Institut Esthderm products can be purchased directly from their website and other retailers including Beauty Bay, Look Fantastic, Space NK, Beauty Expert, Feel Unique and Cult Beauty. Some of these retailers also ship worldwide and offer amazing discounts so it is worth checking them out. Oh I've never heard of this brand before, but some of these products sound very interesting! I love the packaging of it all as well, so sleek and pretty.